Powervent water heaters have become the standard for new construction homes here in Minnesota, but are they really that great? As I mentioned in my last blog post about natural draft water heaters, a powervent water heater is equipped with a built-in fan that pushes the exhaust gas out of the vent with a powered fan. As far as I know, it's impossible for these appliances to backdraft. If the fan doesn't exhaust, the water heater won't light. The image below of an installed powervent water heater is courtesy of the fine folks at The Family Handyman. As you might imagine, the main benefit of a powervent water heater is that there is no potential to backdraft. This doesn't completely eliminate the possibility of a carbon monoxide problem caused by the water heater, but it definitely lowers the potential. 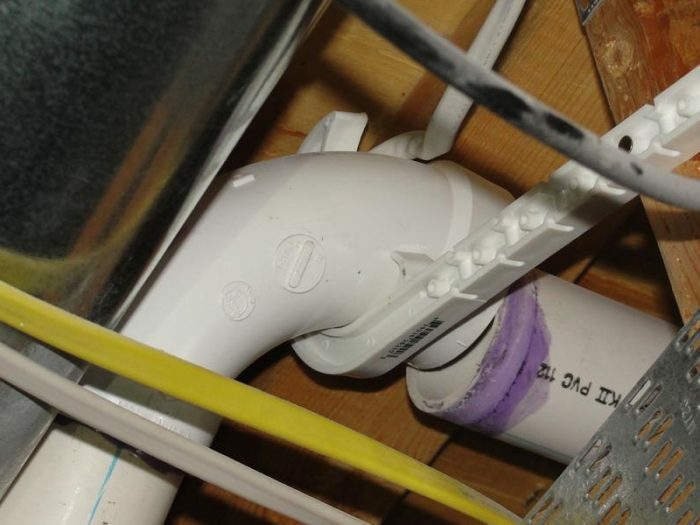 The two ways that carbon monoxide could still get into the home with a powervent would be from a disconnected or leaking vent, or from a vent that is terminated too close to an air intake at the exterior. And yes, I've seen both. The photo below was from a new-construction inspection where one of the vent sections simply hadn't been glued. Another benefit offered by a powervent water heater is lower energy consumption. They're more efficient, so they use less fuel... but not a lot less. The Energy Center of Wisconsin estimated powervent water heaters to save about $20 - $25 per year over a traditional water heater, but they were basing that on fuel costing $1 / therm. See that study here. Here in MN, the cost of natural gas is about half of that, so the annual savings would be about $10 - $13 per year. Again, per year. Because they don't use a vent that runs up through the middle of the house, powervent water heaters give a lot more flexibility when it comes to locating the unit. Manufacturers allow for fairly long runs on the vent, making it possible to put the unit just about anywhere that's convenient. Powervent water heaters also recover hot water faster, but it's not a huge difference. Noisy: They're noisy when they're new, and they don't get better over time. Check out the video clip below showing a new powervent water heater starting up. Electricity: Powervent water heaters need to be plugged into an outlet to operate. That often means an electrical outlet will need to be added as part of a replacement install, which can significantly add to the cost. That also means that if the power goes out or a GFCI device gets tripped, the water heater will stop working. Electricity: Yes, I said it again. This means an electronic control that could go bad, but more likely a fan motor that will go bad. 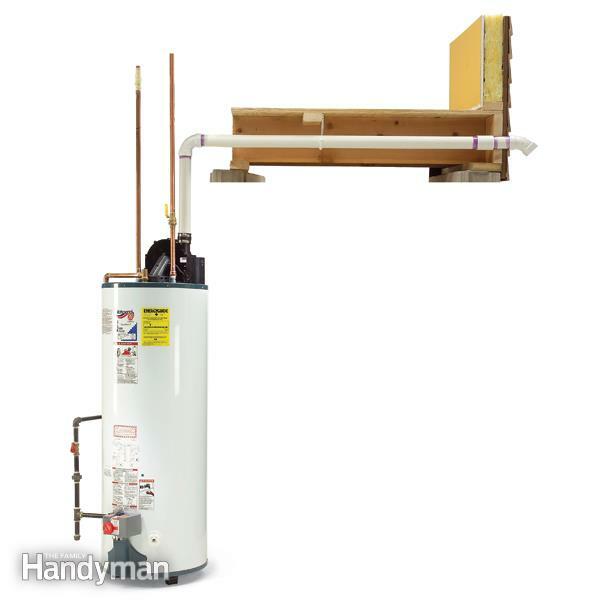 Once the fan motor goes bad, the water heater won't run. Once this happens, many homeowners simply choose to replace the water heater itself. Shorter warranty: traditional natural draft water heaters come with 6-year, 9-year, or 12-year warranties. If there's a powervent water heater with a warranty longer than 6 years, the manufacturers have all done a good job of making sure I can't find them. What about high-efficiency direct-vent water heaters? These are powervented water heaters with a two-pipe system. They cost close to $2k for the unit alone and the savings aren't much. The only situation that I can think of where it would make sense to install a high-efficiency direct-vent water heater would be in a case where nothing else is allowed by code. Code requirements will allow the installation of a direct-vent appliance pretty much anywhere; even in a bedroom or bathroom. See section 303.3 of the Minnesota State Fuel Gas Code for more details on appliance locations. Should your next water heater be a powervent? You'll need to weigh the pros and cons. Without a doubt, the largest benefit is added safety, and the largest drawback is the added cost.